As many as 152 points of roads in North Jakarta that prone to the inundation and the passing truck began to be concreted.
" Concretization itself is focused on roads that prone to inundation"
"Concretization itself is focused on roads that prone to inundation. 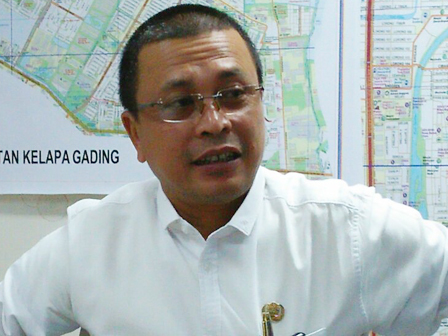 Most roads are concreted up to 25 centimeters high," said Ujang Royani, Section Head of Road and Bridge for North Jakarta Bina Marga Sub-dept., Friday (10/6). Royani stated, it is done at roads that spread in six sub-districts. They are Cilincing (27 points), Koja (32 points), Kelapa Gading (42 points), Tanjung Priok (25 points), Penjaringan (14 points) and Pademangan (12 points). "Total amount of budget to do this is about Rp 109.42 billion," he closed.